Sometimes a usual trip to a familiar place can give a pleasant surprise. That’s what happened when my family and I went to Tagaytay City, a favorite weekend getaway for people from Metro Manila. Tagaytay, known for its slightly cooler climate, refreshing scenery and gastronomic activities, is also the home of D’ Banquet, and this was where my eyes lit at all the different goodies available. My taste buds’ curiosity ventured into trying out the treats I experienced for the first time. There’s the kiwi bread, mint and orange crinkles, kiwi chocolate cookies, and the list goes on. And D’ Banquet also serves the best tarts in Tagaytay. But I’m getting ahead of myself. Let me start by saying, I’ve been here a few years ago and D’ Banquet grew, improved and became a gem. It’s a restaurant, a pasalubong center, a bakeshop and a coffee shop all rolled into one. 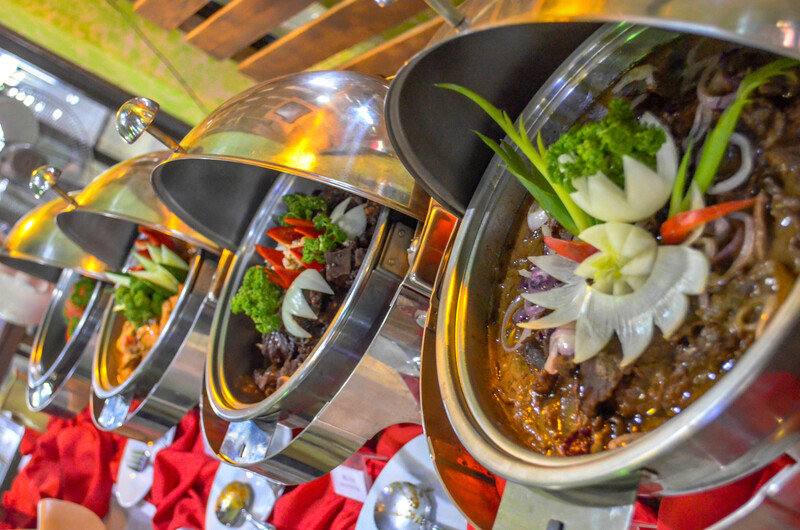 D’ Banquet also has a pasalubong center, a branch of “Amira’s” is located inside the restaurant. They’re the same owners. Amira’s is very popular for their tarts and pies in Tagaytay and has several branches already in this city. I highly recommend you try their tarts. I’ve been enjoying their tarts time and again and I always bring back more to Manila on the way home. They also have all-time faves like the espasol, lengua de gato (it’s the best kind you will ever taste), pichi-pichi and macaroons. But that’s not all. They just keep introducing new treats that are sold only here. Their kiwi bread just grew on me. It has a light kiwi taste, subtly sweet, with visible kiwi seeds. They also offer kiwi crunch cookies and kiwi chocolate cookies and they’re awesome. These cookies are crunchy and sweet and fruity all at the same time. Mongo bread is bread with sweet mung bean paste inside. And the crinkles are amazing because this is the first time I’ve had chocolate crinkles with orange filling and mint flavors. The crinkles are perfect with coffee. Not to worry, because they also have a coffee shop. D’ Banquet just opened a coffee shop also within the premises. This is perfect with crinkles and cakes. Something for dessert after meals or paired with coffee for in-between-meals, they have that covered.